I want to rescue them all!! But since I can’t, I have found a way to use my skills to help homeless dogs find homes instead! Beautiful photography can sell a lot of things, and it can also make someone fall in love with an animal – even when they didn’t know they were looking to bring a fur baby into their home. Professional photography has increased adoption rates for many of these groups. I have also contributed photography to fundraisers and charity calendars, and have donated photography to PAWS for Charity for the past three years. In 2015 I contributed to the “Paws for Parkinson’s – Inspiration Guide for Photographers“ book. 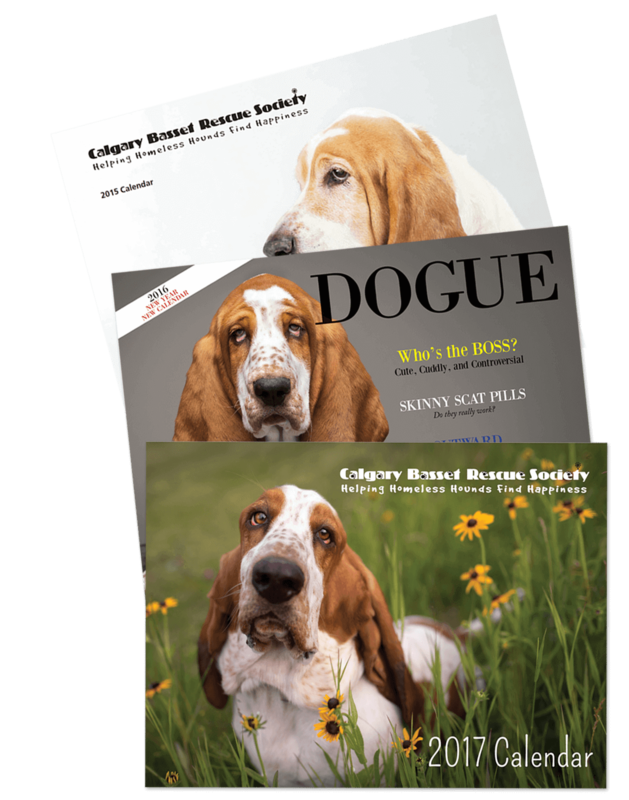 I photographed the 2015 and 2016 fundraising calendars for Calgary Basset Rescue Society in their entirety, and contributed photography to their 2017 calendar. I am also very proud to say that through my pet food store, Tail Blazers – Copperfield, we’ve donated thousands of dollars in cash and donations with events like our annual 5% for Charity Event. In 2018 we started our Holiday Season’s Treatings promotion which with the help of dozens of sponsors we were able to ensure that nearly 60 ARF foster dogs and cats had gifts under the tree on Christmas morning! 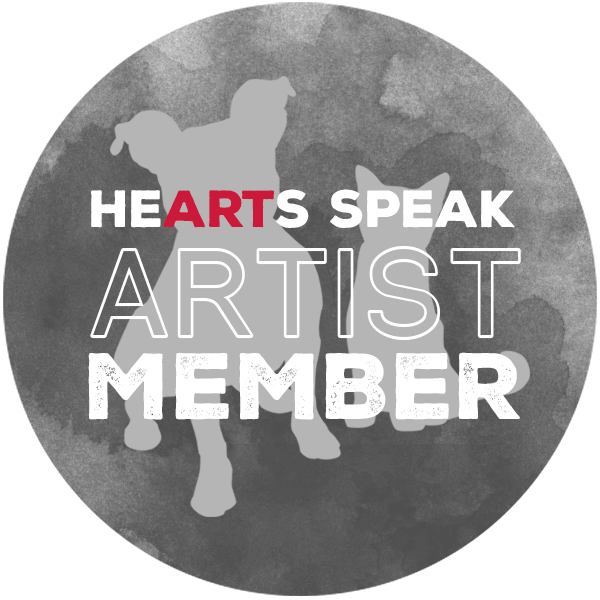 I am also extremely honoured and proud to be a member of an amazing group called HeARTs Speak. This group is doing amazing things and I am happy to be a part of it. Holly generously donates her time and talent to our rescue and brings out the personality of each Beagle. She is simply amazing. I cannot stress how wonderful Holly is; not only does she take beautiful photos, but she goes out of her way to support so many rescues in the city.